My Great Grandmother's high school ring that I lost. Sugar City High School 1919. Fit perfectly on my pinky. I don't know how in the world I could have lost it in college but I did. That has been so heartbreaking over the years, and I know I've asked before, but if I could have one thing, this would be it. Please bring it back. I just know you can do it. The Expandable table of my Grandma Carpenter's that my sister sold at a garage sale. It would have matched my furniture so perfectly and we would have loved having Thanksgiving dinner around Grandma's table. I wish I had spoken up, or even bought it from her. If you could bring it back too, that would be great. 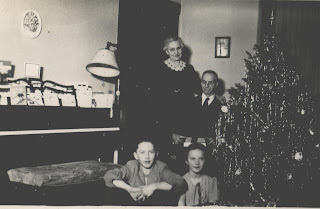 A family group picture of Kim's Swedish Anderson ancestors. We have had so much fun researching this line of the family. I have felt so close to them as I have studied the places they lived, and found church records about their challenges and losses. I have wondered about them as I've seen that they have married late in life, or lost young children to disease and death. I would love to see a picture of them. Surely someone brought one over to America with them to be able to remember the family by. If you could find it for me, that would be so great. If you happen across a journal, that would be incredibly wonderful too. 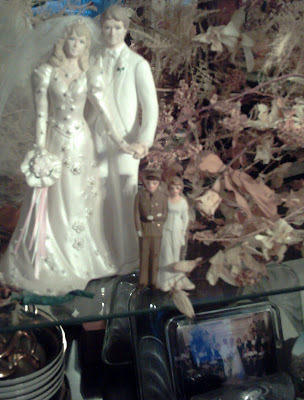 Thank you for the World War II Wedding Cake topper of Grandma and Grandpa Dana's you brought me last year. It is so precious. I have put it in our china hutch next to our wedding cake topper (ala Wilton). I wonder if our inexpensive Wilton cake topper will ever be as precious to someone as Grandma and Grandpa's cake topper is to me. Also, my friends at school all tell me you don't really live at the North Pole, but are disguised in San Diego under the name Randy Seaver. Considering the "Genea..." name and his picture on facebook, I'm not sure. Please advise. 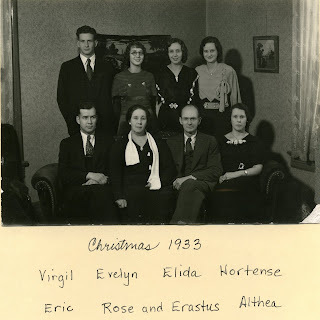 Christmas Rush, A New Photo Article Published and FamilySearch Certified Affiliates Announcement. Christmas rush is keeping me hopping, so I haven't been able to post much lately. We are pretty much done accepting custom charts (call me quick if you absolutely have to have it and are willing to pay a rush fee) but we are still taking orders for fill-in-the-blank charts and gift cards until the 19th. The new gift cards look really great--they are self explanatory, good for anything on the site and we send them to you with free shipping. So first, I had an online article published yesterday at Meridian Magazine.com. 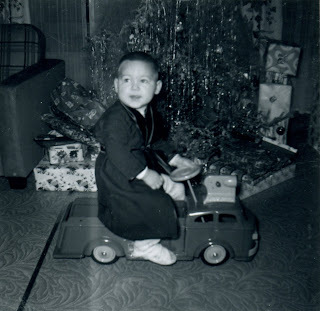 You can see the article on Care and Repair of Photographs here. It is similar to the previous NGS article I wrote on the same topic, and I've briefly talked about the subject here on this blog. So the article should give you a much broader discussion. (Note in the bio that I have apparently become more famous for thechartchick.com than for generationmaps.com :-). One of the Family History Department’s responsibilities in assisting family history consultants is to keep consultants informed about products and services that are available to help members with their family history work. In doing this, the department does not solicit or encourage consultants or members to purchase products or services. The department does not promote one product or service over another. In the immediate future, Familysearch.org will be updated with a page that shares information about FamilySearch Certified Affiliates. FamilySearch Certified Affiliates are third-party companies and organizations that provide products and services with features that are compatible with FamilySearch programs. Certified PAF Add-ins are programs that allow people who use Personal Ancestral File (PAF) 5 to access, print, update, and synchronize with online information in the new FamilySearch. Please note that these products and services are developed and supported by their respective organizations, not FamilySearch. To view the page that provides information about these programs, click here. You are encouraged to learn about these affiliate products and the wide scope of services they provide. Additional information can be found about these affiliates and their services on their respective websites. These programs can be of great assistance to family history patrons as they use new FamilySearch, PAF and other family history programs. Likewise there is a new page linked from new.familysearch.org. http://www.familysearch.org/eng/affiliates/index.html. We understand that this page will be changing--hopefully it will be corrected to list our "print" certification soon. 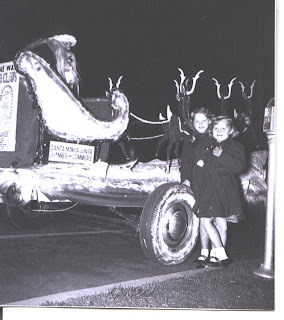 While I have written about sharing your family history by utilizing your family traditions recently, I get to share a few more family holiday traditions thanks to the Carnival of Genealogy. 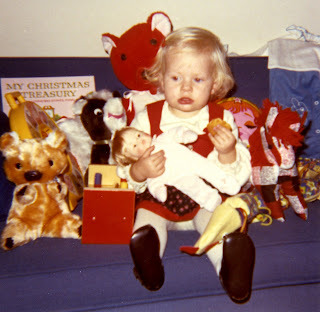 I am so thankful to Jasia for giving me so many great excuses to play with my family history here on this blog. I hope you will check out my previous post for the real information and ideas. I'm going to stick to pictures on this one. A photo essay from past to present. 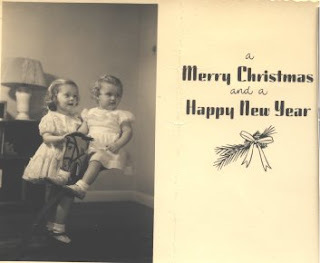 I have several more posts to write in my Sharing your Family History with your Family series but have been hit with Christmas Rush at Generation Maps lately. 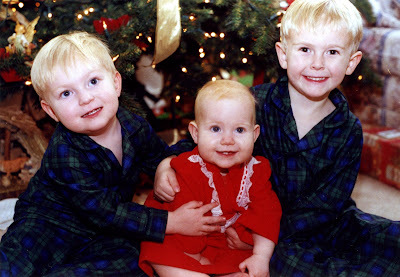 That is the most recent Hovorka family tradition I guess--definitely a good one. I'm hoping to get a bunch more of of my series posted this week. We'll see how far I get. We'll get them done eventually. Enjoy your happy holiday season. 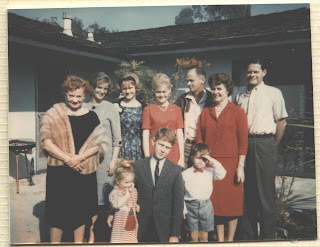 Follow along with the adventures as my children and I engage in our family history together.